« Incredible China – example 18: Christmas spirit is booming here! 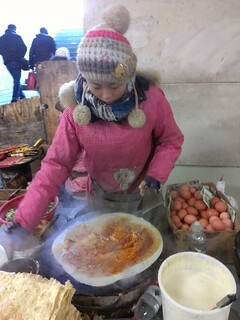 I presented couple of months ago on this blog the Guanbing, a thick crepe with an egg and piece of salad. 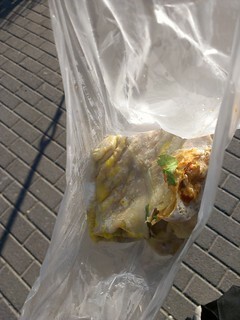 The taste is similar but with less oily and greasy. My favourite is still the Guanbing for breakfast (with chicken for sure, not the ugly sausage they proposed) !